Sharon and the surrounding towns were once a major iron-mining area, and this is one of the many artifacts remaining. 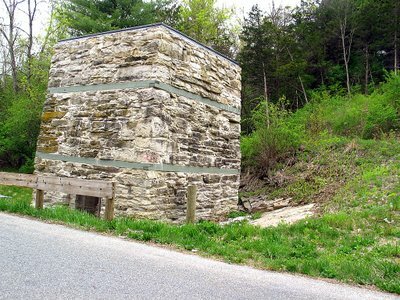 Here is a historical picture of the limekiln. According to the Sharon Historical Society: "The Northwest Corner became a center of iron making because it had the perfect combination of raw materials, people-power and energy sources." Much more about that here. That's an interesting building - I never would have guessed what it was!! Off to see the links now!